Home Chinchillas Where Do Chinchillas Come From? 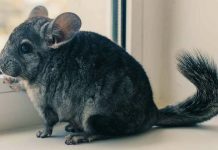 Are you thinking of buying a chinchilla, or do you want to know more about the chinchilla you own? 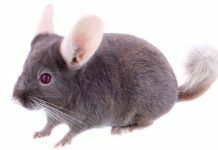 In this article we will take a look at a common chinchilla question – where do chinchillas come from? Although they aren’t the most common pet, you’ve probably seen a chinchilla at some point during your life. Perhaps you’ve seen them in a movie, in a pet store, or maybe you even own one of these cute little animals. But although chinchillas make great pets, they are also a little mysterious. So let’s uncover the tale of the wild chinchillas. Where do they originate from? What do they like to eat? This article will answer all these questions and shed some light on these adorable animals. 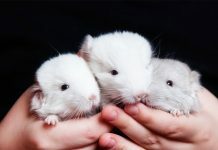 If the term ‘rodent’ popped into your head, then you’re right, chinchillas fall into the rodent family. They might seem pretty small to us compared to some other household pets, but they are actually characterized as medium sized. 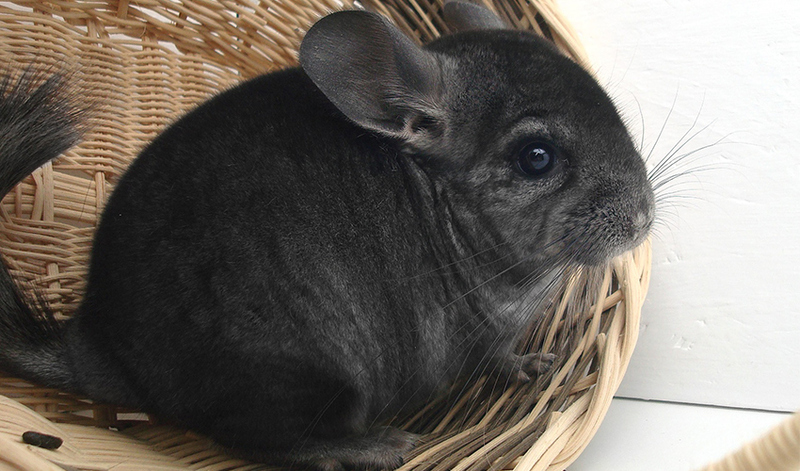 Chinchillas have short round ears, large black eyes, and short forelimbs. They have bushy tails which can range in length from three to six inches depending on the type. Yes, there are two types or species of chinchillas! Chinchilla brevicaudata and Chinchilla lanigera. Also called the short-tailed chinchilla and the long-tailed chinchilla. The long-tailed is the smaller of the two and usually grows to about ten inches in length. It has a thin neck and narrow shoulders, with silky fur. The long-tailed chinchilla can also be identified by its rounded ears, and as the name suggests it also has a long tail. The short-tailed chinchilla is known for its thick shoulders and neck and its fur is very coarse. It also has shorter ears and a flatter nose than its long-tailed counterpart. In general, chinchillas are covered with thick fur, which helps them to survive extremely cold temperatures. Originally chinchillas were grey or brown in color, but these days due to mutation, you can find them in colors ranging from violet, white, beige, ebony, and charcoal. This means that chinchillas are very active during the twilight period (dusk, dawn). Rabbits, Guinea pigs and even cats fall in the crepuscular category as well. This is a great time of day for rodents and similar creatures, as the dim light provides some extra security against their natural predators. Where do chinchillas originate from? Chinillas originated from the Andes Mountains in South America, specifically Peru, Argentina, Bolivia and Chille. Matter of fact, LifeScience tells us that the chinchillas’ ancestors were actually the first rodents to infest South America. 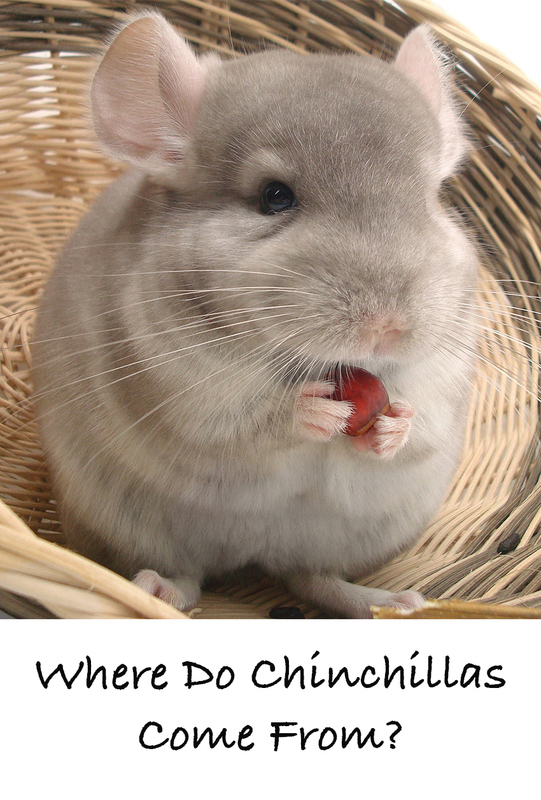 Where do wild chinchillas live? Wild Chinchillas lived together in herds in the Andes Mountains, where some still exist today. Although the numbers are sadly highly diminished due to the fur industry. According to a fascinating 1996 study, chinchillas are in trouble. Short-tailed chinchillas are extinct in the wild, with the last sighting being in the early 1950’s. A few colonies of long-tailed chinchillas have been found, but they are seriously at risk. They were even believed to be extinct in the wild for some years, until being re-discovered in the 1970’s. They are now protected only by the Chinchilla National Reserve, which was set up in 1983. They mostly occupy crevices in the rocks, while some live in burrows underground. A wild chinchilla often eats seeds, nuts, grass leaves, twigs, insects and seeds; things often found in their natural habitat. However if you own a pet chinchilla their diet will be somewhat different than that of a chinchilla in the wild. 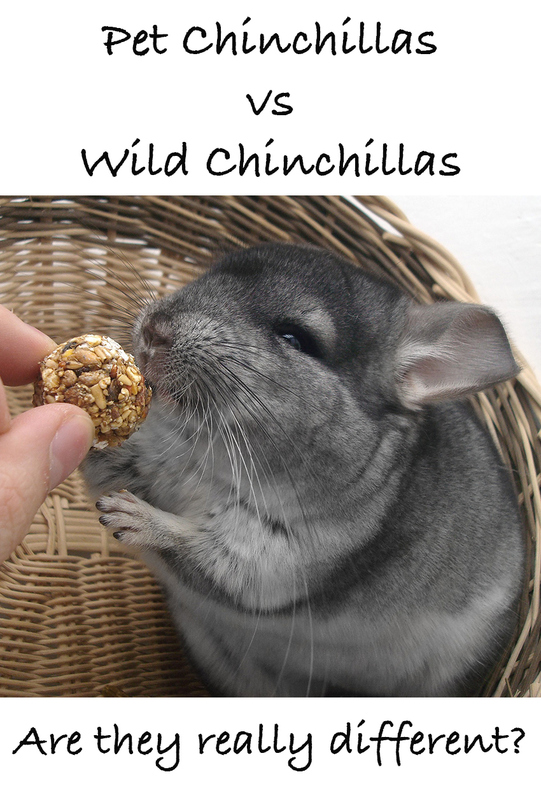 It is actually recommended by the Royal Society for the Prevention of Cruelty to animals (RSPCA) that you should not feed your chinchilla nuts and seeds because they are so high in fat. Instead they should be fed a small quantity of grass-based pellets each day, along with hay and clean drinking water. Hay should make up a large portion of your chinchilla’s diet because their digestive system needs hay (and grass as well) to operate properly. A group of Chinchillas were brought to the United States by Mathias F. Chapman, a mining engineer who was working in Chile in 1918. He had bought a chinchilla from a local Chilean and his interest was piqued about the animal. He devised a plan to acquire more of these animals and transport them to the United States for the purpose of breeding. However, his initial request to take the animals from Chile was denied, until 1923 when he was finally granted permission by the Chilean government. That year, Chapman left Chile for the United States with 12 chinchillas. Furthermore, in the 1920s attempts at domesticated breeding of chinchillas began in their native home of Chile. Several breeding farms began operation and after breeding many of these animals were later sold for export to different countries. Today, chinchillas are sold as pets in pet stores all over the world. What is the difference between a wild chinchilla and a pet chinchilla? There are some differences between wild and pet chinchillas. A 2001 study showed that whilst pet chinchillas are prone to dental disease, the same does not appear to be true of wild chinchillas. Wild chinchillas have shorter teeth, whereas pet chinchillas have longer teeth that appear to suffer from tooth lesions. This is assumed to be due to the difference in diet. The chinchillas you see on display at your local pet store are pet chinchillas. These types make great pets for children, not just because they are cute and furry, but also because they are pretty low maintenance and friendly. It is normal for a pet chinchilla to nibble on your finger, so don’t be alarmed if this happens. Nibbling indicates affection and acceptance. There are also wild chinchillas, which mean that these types of chinchillas are not domesticated, and therefore do not make suitable pets. As previously mentioned, wild chinchillas once lived in areas such as Chile, Bolivia, Peru and Argentina, but today they are only found in Chile. The chinchilla’s living space should be below 80 degrees Fahrenheit because they tend to overheat quite easily. They also need plenty of space to run around and play, so the larger the cage the more comfortable your pet will feel. The cage should also be cleaned regularly and harmful chemicals such as bleach should be avoided. Your chinchilla also needs a dust bath at least twice per week to avoid oil and dirt buildup on their coats. You can visit your local pet store for information on how to make a dust bath. Whatever you do just make sure that you DO NOT bathe your chinchilla in water; it can be harmful to your chinchilla’s fur. So we now know that chinchillas come from the Andes. Where they hide in caves or burrows and come out to eat and play in the twilight hours. Wild chinchillas can still be found in the Andes today, although they don’t have the friendly temperament that our domesticated pet chinchillas have developed. Do you know any more fun facts about chinchillas? Share them with us in the comment section below. Crossley, DA & del Mar Miguelez, M. 2001. Skull size and cheek-tooth length in wild-caught and captive-bred chinchillas. Archives of Oral Biology. Previous articleCan Two Hamsters Live Together In The Same Cage?